The Alienware AW3418DW is still expensive at $1,000, but it's cheaper than you'll find elsewhere right now. When it comes to gaming monitors there are standard screens, and then there are visual experiences. Today, Dell’s got a good price on the latter type of display, but it’ll still cost you. 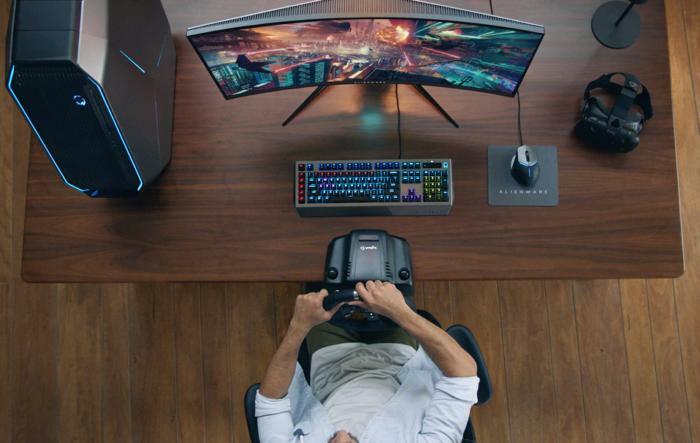 The retailer has an Alienware 34-inch curved 3440-by-1440 G-Sync monitor for $1,000Remove non-product link. That’s a lot of bread, but it’s about $100 to $200 cheaper than what you’ll find elsewhere right now and $500 off the MSRP. It also happens to be Dell’s Black Friday price from last year, which makes sense as it’s part of Dell.com’s big “Black Friday in July” blowoutRemove non-product link with deals on all sorts of electronics. In addition to the monitor’s glorious resolution, it offers a 1900R curve and a 21:9 aspect ratio. It also has an ultra-thin bezel on the top and sides, though you can’t miss that chunk of Alienware branding on the bottom. The display has a fast native 100Hz refresh rate that can overclock up to 120Hz, and a 4 millisecond response time. It also comes packing AlienFX RGB customizable lighting to add dynamic ambient lighting effects while in-game. There are also downloadable lighting themes for more than 145 games. Another big star of this monitor, besides the curved widescreen and resolution, is G-Sync. G-Sync allows a compatible Nvidia GeForce graphics card to synchronize with the monitor to eliminate screen tearing and jittering for a far smoother gaming experience. For ports, you’ve got HDMI, DisplayPort, three USB 3.0 ports, and one USB port with power charging. This is an IPS panel, and the stand allows for height, swivel, and tilt adjustments. All these toys don’t come cheap, but this is the best price you’ll find right now for this incredible monitor. Head over to Dell’s Black Friday in JulyRemove non-product link landing page to find deals on all sorts of PC hardware, from laptops to desktops and accessories.